The 1st Armored Division at Fort Bliss had named one of its tanks after him. “‘If you smell what America’s Tank Division is cooking! '” the 1st Armored Division tweeted. Johnson said he was honored. Johnson hasn’t addressed the backlash on social media. 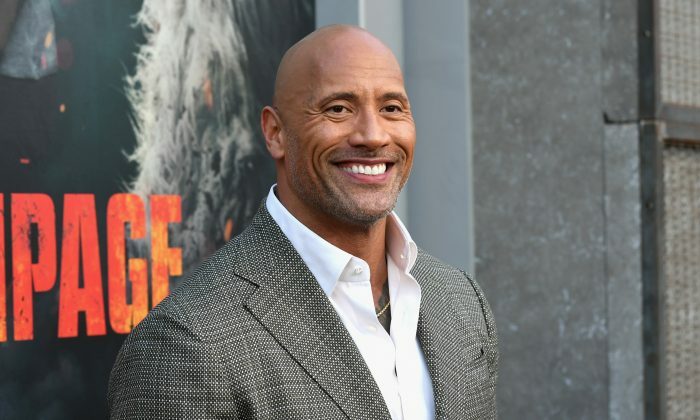 In December last year, Dwayne “The Rock” Johnson was in the media’s attention again for surprising his mother with a brand new house. He posted a video on Instagram over the weekend showing his mom Ata’s reaction. “This one felt good. Surprise! Bought my mom a new home,” he said in the caption, adding that while he was growing up the family often moved as his parents struggled to pay the rent. He then noted that he bought his parents their first house in 1999 but they divorced soon after. Since then, he’s promised both his mother and father that he would buy them whatever they needed. “This gift is a special one though and the timing is very meaningful. I told her to treat this card like it’s ‘Willy Wonka’s Golden Ticket’ because she gets to choose any home she wants—anywhere she wants,” Johnson said. Epoch Times’ Zachary Steiber contributed to this report.